Eric Sailers began his speech pathology career when he realized the lasting impact a speech language pathologist can have on children with communication deficits. He is a passionate speech language pathologist and the creator of various child friendly apps, that address ways to improve articulation, fluency, vocabulary, grammar, augmentative communication, listening comprehension, narrative language, and social language. 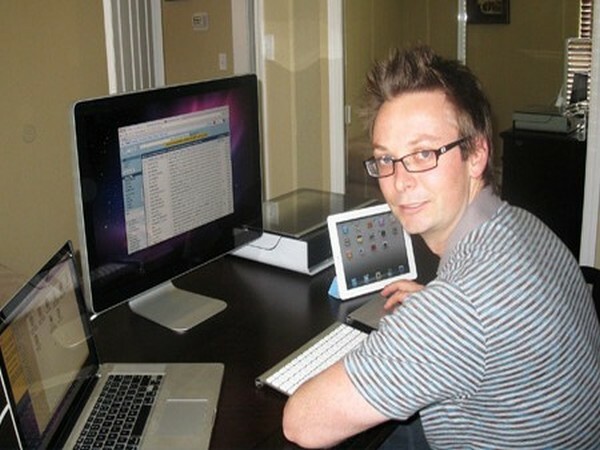 Eric runs two companies - Eric Sailers LLC and Expressive Solutions LLC. He also provides private consultations and group training. Why Did You Choose to Become a Speech Language Pathologist? I became a speech-language pathologist (SLP) because of experiences I had with speech. One experience involved a summer research internship in college, when I worked with preschoolers with language impairments. One of my preschool participants, Levi, had a huge impact on my decision to become an SLP. I was so impressed by how his speech-language skills improved over the course of the research project. Plus, he and I developed a bond, which was evident when he ran into the corner and cried as I said goodbye to him for the last time. The experience made me realize that I wanted to be an SLP so that I could have a lasting impact on children with communication deficits. What is the Job Scope of a Speech Language Pathologist? I personally am a school-based speech-language pathologist. I provide direct services at a middle school, and I act as a support person for assistive technology with students Pre-K to grade 8. A regular workday for me involves providing therapy, documenting attendance and data collection, collaborating with district staff members, working on IEPs, supervising a new SLP, administering an assessment, and researching the Internet for new techniques and technology. Wikipedia: speech-language pathologists serve individuals in the following ways: Speech-language pathology is the study of disorders that affect a person's speech, language, cognition, voice, swallowing (dysphagia) and the rehabilitative or corrective treatment of physical and/or cognitive deficits/disorders resulting in difficulty with communication and/or swallowing. Speech-language pathologists (SLPs) or Speech and Language Therapists (SLTs) address people's speech production, vocal production, swallowing difficulties and language needs through speech therapy in a variety of different contexts including schools, hospitals, and through private practice. What are the Speech and Language Development in Early Childhood? 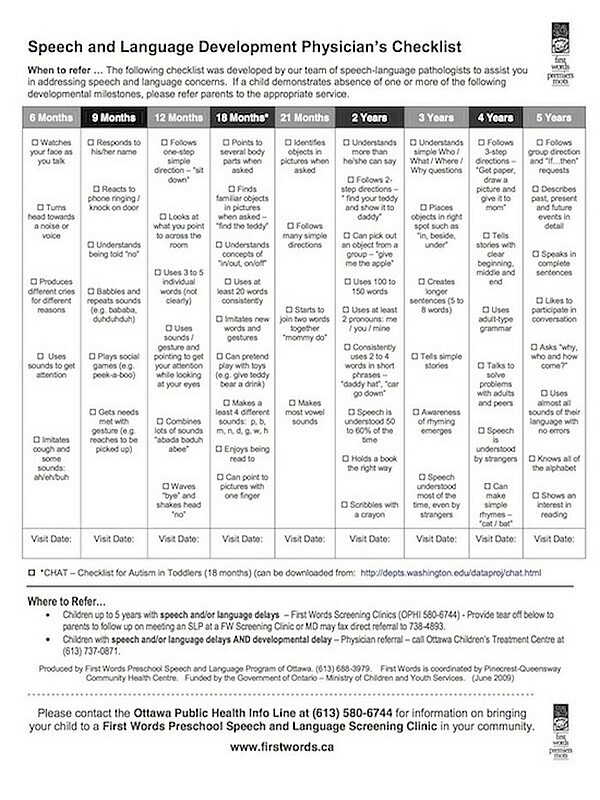 Speech-language milestones vary based on the child's gender and the given developmental chart. If a parent observes his/her child failing to meet the speech-language milestones, then there is a reason to be concerned. If the child is severely delayed, then I highly recommend seeking an assessment. When Should Parents Send Their Kids to See a Language Pathologist? I think that parents who are concerned about their child's speech-language milestones being severely delayed, regardless of their child's age, should request an assessment. Parents can contact their pediatrician or local school district for a referral to an SLP. I did a college internship in which I administered assessments to children 1.5-2 years of age. In the assessments, we determined whether the child was meeting milestones for speech, verbal and nonverbal language. So, it's definitely possible to administer an assessment well before kindergarten. How Do You Use Technology to Teach Language Skills to Toddlers? I've been inspired by different special educators, all around the world, to use technology like the iPod touch. We network on the Internet via the QIAT listserv, wikis, podcasts, blogs, YouTube, Twitter, and more. The Internet is an incredibly valuable tool for educators to learn, create, and share information. I feel like the technology I use with students is motivating and relevant to the 21st century. Instead of asking students to memorize facts with paper and pencil, I require my students to learn foundation skills via technology. I'm interested in different looking educational system that Chris Dede, Harvard professor, describes: "students should learn how to use technology to make a difference in the world, a difference that is authentic, and a difference that they believe in; and then, the academic knowledge would be in the service of the technology, rather than being disconnected from anything other than grades or progressing to the next level of school." How Can We Develop Speech and Language Skills for Preschoolers? I recommend using language stimulation techniques with the following activities crafts, books, stories, toys, songs, games, snack, and sound play. Compiled and Developed By Jo R. Tanzer, M. A., Glenn Weybright, M. S.
Describe out loud to your child what you are seeing, hearing, doing AS YOU DO IT, e.g., "Wash the dish," "Dry the spoon," "I put the plate away." Use short, simple sentences, and let your child know there are words to describe all sorts of activities and feelings. Give him words for what he sees you doing. Describe out loud to your child what he is seeing, hearing, thinking, and doing as he does it, e.g. "You're throwing the ball," "In goes the car," "Johnny has a rock;" "Push the bike;" "You're pushing the bike." Give him words to describe the action he does or the thing he sees. Use labeling or explaining phrases or statements, e.g. "That's a big ball;" "There's Mommy;" "That dog is a poodle;" "It's hot;" "The pillow is soft;" "The water is cold;" "There's a fire truck." Repeat your child's "baby sentences" the way an adult would have said them. For example, if the child says "widdle wed wabbit," you say, "little red rabbit." Repeat your child's "baby sentences" the way an adult would have said them. This shows him you understand and at the same time gives him a good model. You are revising and completing the child's speech. For example, if the child says, "doggy run," you say, "Yes, the doggy is running." Expand the child's response to an adult sentence, as above, then add an additional related comment. For example, the child says "Car go" and you say, "The car is going. It's a red car." The child says "Oh-oh, baby cry," and you say, "The baby is crying. He's hungry."